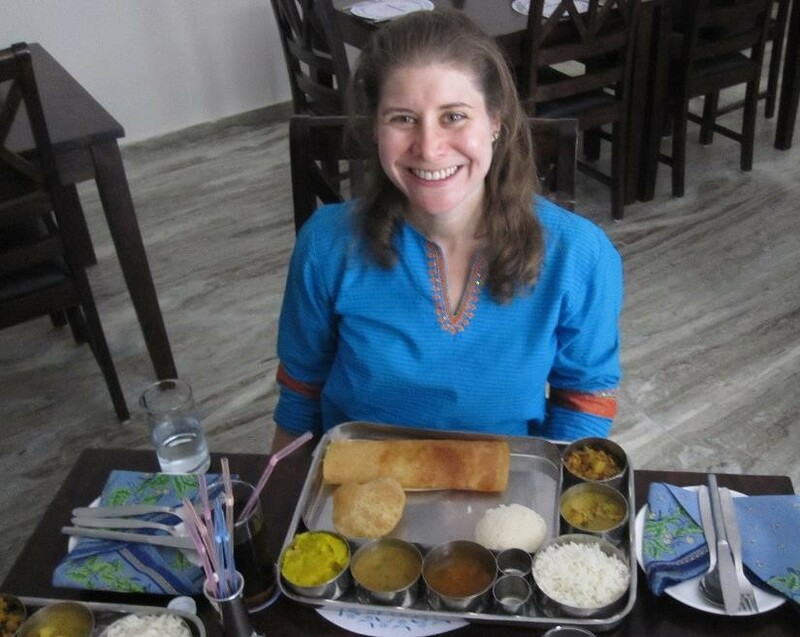 Vegan Tourists in India - I love dosas! Several months ago, I visited India and fell in love with the culture and the cuisine! Along with my memories of the beautiful Taj Mahal, I also vividly remember the dosas, the chutneys, the curry, oh yum! India is an easy place to visit as a vegan. Many typical Indian dishes are already vegan, and those that aren’t usually contain paneer (cheese) or ghee (clarified butter), and can easily be made vegan. But of all the delicious dishes I tried, my absolute favorite was the dosa masala, which literally means “dosa with mixture.” The protein-rich dosa is a savory crepe made from fermented rice and lentils. I was so wild about dosas that upon my return to the US, I began a quest to learn how to make one at home. A friend of mine kindly asked her Mom to give me a lesson. I am grateful to Mrs. R. for her patience and enthusiasm as she taught me the outs (crepe) and ins (filling) of constructing a delectable dosa masala. Her lesson was so easy to follow that I’m passing on the tips to our community. If you’ve never tried a dosa, or you’ve had them at an Indian restaurant but never tried to make one, here’s your chance to explore making a dosa at home. Dosa Masala tutorial courtesy of Mrs. R.: all recipes are listed in our vegan recipes section and links are included below. If you’d like to make a real dosa from scratch, it requires a bit of planning. The rice and lentils must be soaked for approximately four hours, then ground, mixed together, and allowed to ferment for 12 hours. (See the dosa recipe for the specifics). Note: if you are planning to soak and grind your own rice and lentils, use idly rice (or long-grain rice) and urad dal (lentils). You can purchase them online or at most Indian stores. This is a super yummy filling made from potatoes, onion, chilis, dal (lentil), and mustard seed. If you’re not eating onions or garlic, you can add some turmeric to give it a bit more flavor. Make the masala filling the night before and keep it in the fridge if you’re pressed for time. I also just really like the filling and discovered it can be a nice side dish with kale, bok choy, broccoli or any other green leafy vegetable. This typical Indian “soup” can also be made in advance of the actual dosa meal. It’s a fairly flexible recipe and you can add whatever vegetables you have on-hand. The sambar powder is necessary. If you don’t have any, you can buy it online or at an Indian food store. Mrs. R. shared her special sambar recipe. Please feel free to share your family’s recipe as well! The chutneys are meant to be a topping eaten with the dosa, but I think they are so yummy, that I would also use them as a dip for veggies or crackers. There are many varieties of chutney. Try our recipe for tomato onion chutney. You can also make this part of the meal the night before you plan to make the dosas and just keep it in the fridge overnight. Use just one pan for making the dosas. They can be “tempermental” at times, and you want to be accustomed to the heat levels needed to cook correctly in your special dosa pan. The pan should also be a bit cooler each time, so take a paper napkin with a bit of oil and clear the pan in between each dosa. You won’t normally flip the dosa. You just cook it on one side and then immediately serve to the plate. It should be eaten immediately. Spread it thin and make a large circle. If you put too much in by accident and the dosa is too thick, just cover with a pan to help it cook, and flip it to the other side if needed. If the mixture starts getting too thick, add water (one teaspoon at a time), to the batter. If you’ve discovered a super yummy vegan curry and you’d like to share your tutorial with us, please send us a note. Thanks again to Mrs. R. for sharing her dosa recipe and cooking tips. Thanks to Neeti for sharing her family recipe for a north Indian dish: Sabudana Vada (Sago Fritters). We’ve had the pleasure of sampling these delectable morsels at a party and absolutely guarantee that they are super yummy! And the Physicians Committee for Responsible Medicine will be starting a special version for of its free, online program the 21-Day Vegan Kickstart, tailored just for India! 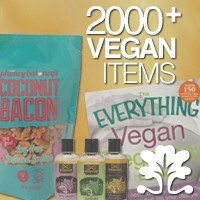 Vegan Kickstart India will start on June 4, 2012. You can find more details on the PCRM website.